According to the Australian National Health and Medical Research Council's alcohol consumption guidelines, you shouldn't drink more than two standard drinks a day. This is in line with most developed nations, with guidelines in New Zealand stretching to three standard drinks for men and at least two alcohol-free days every week. 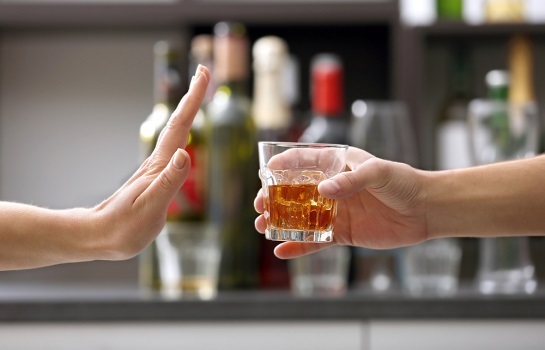 While these guidelines have been developed to help people reduce their risk of harm from alcohol-related disease or injury over a lifetime, their existence doesn't mean that moderate drinking is completely harmless. In the red corner is Professor Chikritzhs from Curtin University's National Drug Research Institute, who says that all drinking is capable of doing damage. According to Professor Chikritzhs, alcohol is a carcinogen and moderate drinking can cause harm: "From the very first sip, even at very low levels of less than half a drink a day, you can experience an increased risk for a range of cancers... For a whole range of cancers, seven or eight of them, we can demonstrate a linear dose response relationship." While the amount you drink each day increases your risk of developing cancer, there's no level of alcohol consumption that's completely safe. Not everyone is in agreement when it comes to alcohol, however, with some studies suggesting numerous physical and psychological health benefits from a glass or two in the evening. Alcohol could act as a health tonic in numerous ways, by boosting levels of "good" fats in the blood, by increasing the body's sensitivity to the hormone insulin, or by decreasing inflammation which has been linked to heart disease and other illnesses. Alcohol may also be good for your mental health, allowing you to relax easier and possibly reducing the symptoms of depression and anxiety in certain individuals. In the green corner is Dr. Sreenivas Veeranki, assistant professor in preventive medicine and community health at the University of Texas Medical Branch. In a recent study led by Dr. Veeranki and published in the 'Journal of the American College of Cardiology', light-to-moderate alcohol use was associated with a reduced risk of death compared with no alcohol consumption at all. In an analysis of more than 333,000 people, those who consumed 14 or fewer drinks per week for men and seven or fewer drinks for women were about 20% less likely to die from any cause during the study’s follow-up period, and about 25 to 30% less likely to die from cardiovascular disease. While heavy drinking and binge drinking were still linked with numerous health problems, it seems the jury is still out when it comes to moderate alcohol use.